The National Guidelines on Accessible Health and Social Care Services were launched by the Minister for Disability, Kathleen Lynch TD, at an event in Dublin’s Mater Hospital yesterday. Developed by the Health Service Executive (HSE) and the National Disability Authority (NDA), the guidelines aim to ensure that everyone in Ireland, including people with disabilities, is able to access these services on an equal footing and to be cared for with respect and understanding. They provide practical advice and directions to staff on how to deliver accessible services, covering a range of issues, such as offering accessible information, ensuring physical access, developing strong communication and granting consent. The HSE said that they had 70 access officers already, hoping to train a further 140. 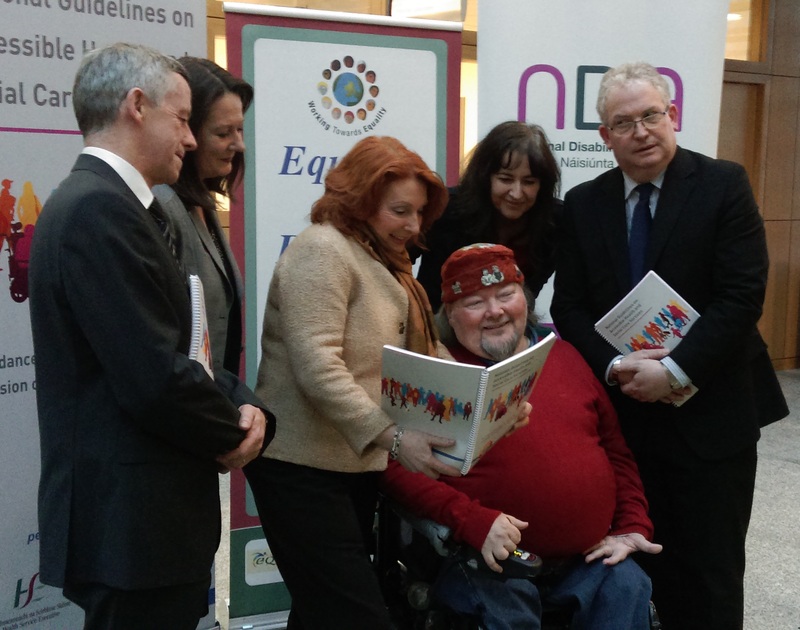 Director of Áiseanna Tacaíochta, Martin Naughton, spoke in his role as a disability activist and advocate at the launch of the new guidelines. He explained, “people with disabilities hold the right to avail of the health services that they require – both disability-specific and mainstream – with full and equal access. This is about much more than just being able to navigate the physical environment; it’s about giving people the security that they can obtain user-friendly information, communicate their needs, and understand any processes or treatments being undertaken in a positive and stress-reducing way”. “It is crucial that everyone in the health services plays their part in ensuring that this happens, and these guidelines, when implemented fully, represent an important step forward in creating an open and inclusive health service for all”, he continued. Describing the guidelines as “a charter for decency”, Minister Lynch welcomed their publication, stating that “disability is something that can happen to everyone, so we need to plan and deliver our services for disability as a norm rather than an added optional extra”. Siobhan Barron, Director of the NDA, and the Director-General of the HSE, Tony O’Brien, also spoke at the event, highlighting how ensuring that staff at every level have the right attitude and understanding can greatly improve access to services to people with disabilities. To view these new guidelines, please click here.